These little button hearts would make a perfect gift for your special someone or as a token of friendship. 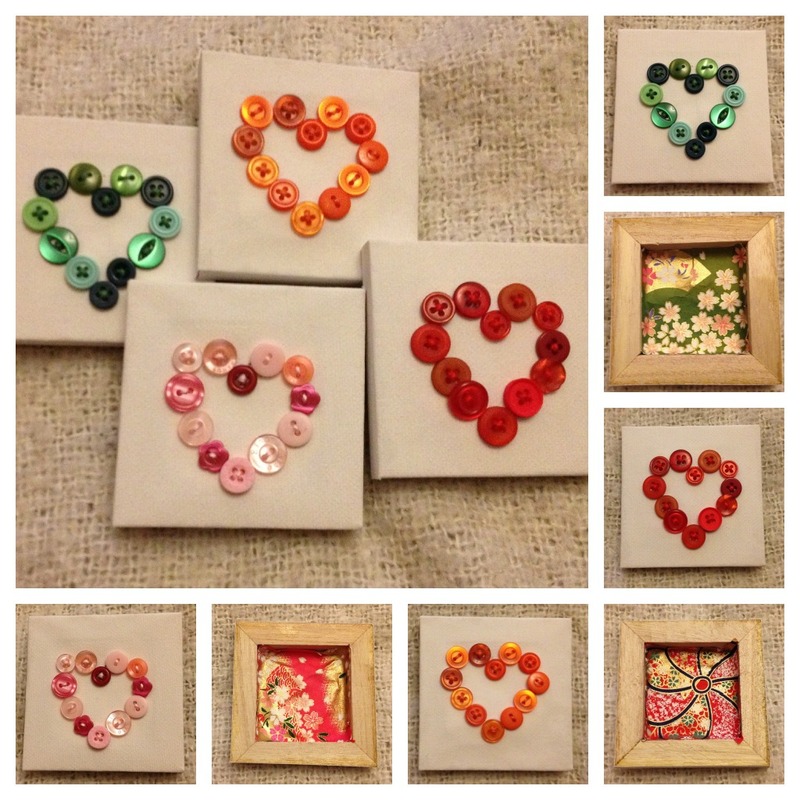 The canvas measures 7cm x 7cm with each heart made from a selection of buttons sewn on with matching embroidery thread. The back is decorated with beautiful origami paper. 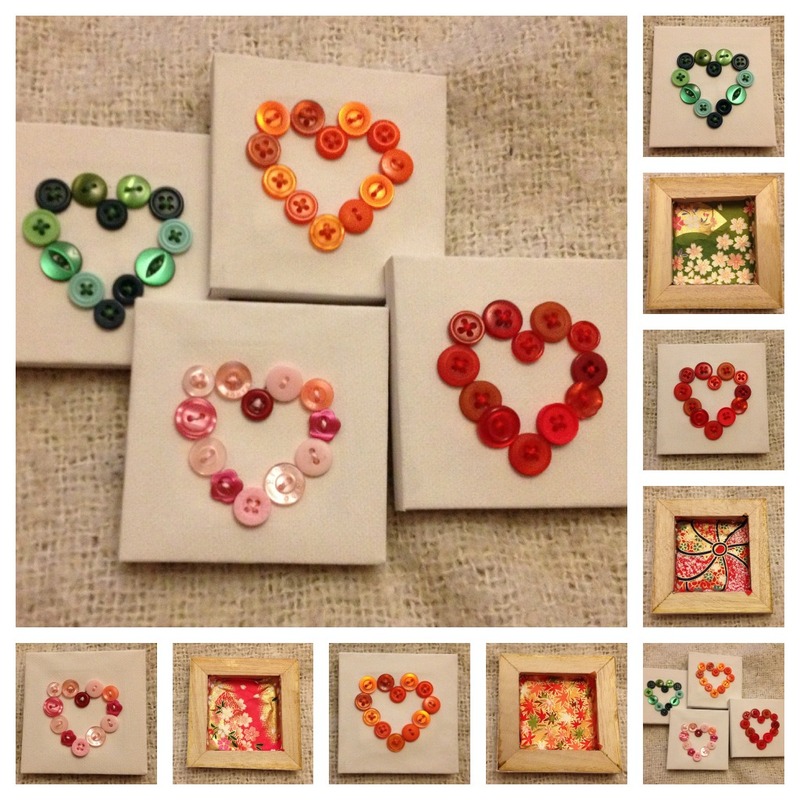 Each heart is £4.50 + P&P.